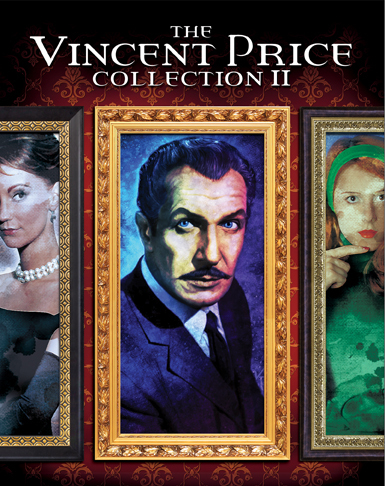 Digi-Schlock: THE VINCENT PRICE COLLECTION II (Scream Factory 4-Blu-Ray Set) – Schlockmania! Scream Factory has done a lot of impressive reissues over the last few years but one of the true crown jewels in their repertoire is The Vincent Price Collection, an excellent blu-ray box that collected several of the horror icon’s classic films in high style with plenty of extras. That said, the Price filmography is deep enough that there were still plenty of titles ripe for the plucking, particularly in the MGM archive that Scream Factory frequently draws from. Thankfully, the company has recently returned to the well once more for The Vincent Price Collection II – and the results are as impressive and stuffed with extras as the preceding Price set. This set includes the films The Raven, The Comedy Of Terrors, The Tomb Of Ligeia, The Last Man On Earth, Dr. Phibes Rises Again, The Return Of The Fly and House On Haunted Hill. Whether this set is dealing with the velvety colored, scope-format extremes of Poe titles like Raven or Ligeia or stark, black and white fare like Last Man or Return, everything shows a nice depth of detail and rich shadings. House On Haunted Hill is particularly nice here, a big step up from the shoddy public domain transfers that most horror fans are used to. Soundtrack mixes for each film are presented in DTS lossless format and everything sounds faithfully rendered (fans of Dr. Phibes Rises Again can rest assured that the soundtrack cues missing from early video versions of this title are included in their proper places here). As with Scream Factory’s previous Price set, there are a mountain of extras included here that mix classic DVD-era extras with new material created especially for this set. For example, the 1982 PBS wraparounds that Price did for a series of broadcasts of his gothic horrors are included whenever one of those titles is used, just like Scream Factory did on the first box set. These bits are well-written and Price delivers the mixture of commentary and quips with brio. The extras for The Raven begin with a commentary track by film historian Steve Haberman. As is his usual custom, Haberman carefully researches and scripts his comments so the results are an engaging, fact-dense track. 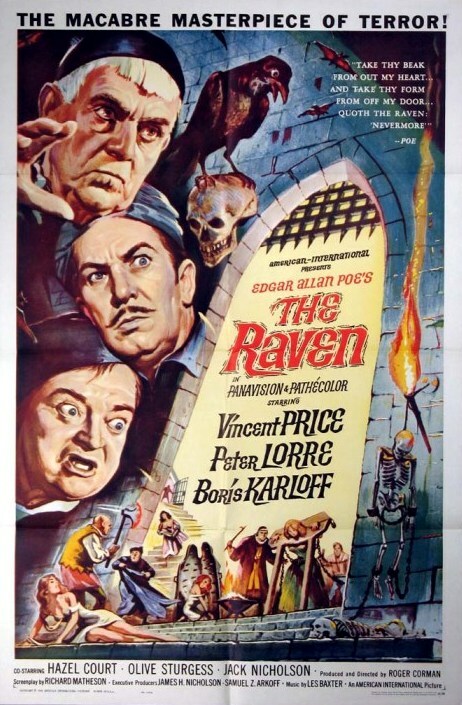 He offers bios of major cast and crew members (the coverage of Daniel Haller’s career is nice), offers a scholarly analysis of how The Raven inverts both the style and themes of Roger Corman’s other Poe adaptations and even gives a thumbnail history of Poe’s titular poem. Also included are two DVD-era interviews, one with Richard Matheson and the other with Corman. The Matheson interview runs just under seven minutes and reveals how the absurdity of spinning a short poem into a feature length script inspired its comedic tone. He also offers up some fond memories of Price and Karloff. The Corman interview runs just over eight minutes and offers a general overview of how he assembled the film, including the use of camera cranes to create the “battle of the wizards” sequence and incorporating Peter Lorre’s knack for improv into different scenes. Also included is a six-minute promo record for The Raven that incorporates Lorre reading the titular poem and a Karloff cameo. Promo materials consist of a trailer that downplays the film’s humor element and a still gallery with over 60 images, including posters, lobby cards, stills and promo photos. The extras for The Comedy Of Terrors start with a nearly ten minute interview with Matheson. He speaks fondly of the cast but his most interesting memories come when he point out how he recommended director Jacques Tourneur for the gig after admiring his work on The Twilight Zone. A trailer for the film embraces its horror comedy approach while pitching its cast of horror vets and a still gallery offers just under 40 images, with the usual mix of posters, lobby cards, stills and promo photos. The Tomb Of Ligeia boasts a whopping three commentary tracks. The first is a solo track for director Corman, who offers a highly technical stream of comments. He discusses his Freudian approach to adapting Poe, points out visual techniques used to bring flair to dialogue-heavy scenes and discusses the motivations behind different visual compositions. His comments get a little sparse later in the track but filmmakers will want to hear what he has to say as it is highly educational. The next track pairs star Elizabeth Shepherd with filmmaker and professor Roy Frumkes. Shepherd is very fond of the film and is able to rattle off the credits and abilities of her various castmates down to the smallest roles (she intriguingly describes Price as “a cultured man playing a cultured man” in this film). Frumkes supplies some nice trivia and points of the story’s Freudian elements. Shepherd is equally impressive with her analysis of her character and the storyline and both work nicely as a team analyzing the film’s surreal finale. The final commentary track is a solo effort for film historian Constantine Nasr. He reveals a lot of interesting details, like how many crew members on the film were derived from the Hammer Films stable of technicians, nice bios of the different character actors and the differences between the film and Poe’s original tale. He can get a little heavy-handed with critical opinions but the historical info makes it worth a listen for horror scholars. The last Ligeia extras are a trailer that plays up the gothic thrills and 28 image still gallery with an array of posters, lobby cards and stills. 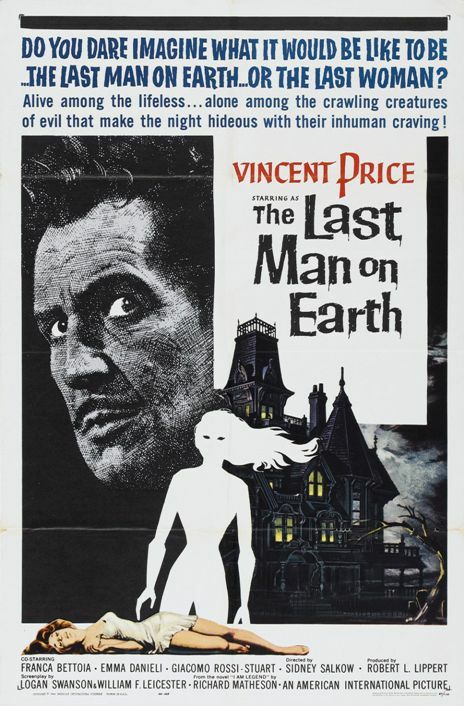 The Last Man On Earth receives a new commentary track featuring horror historians David Del Valle and Derek Botelho. It’s really more of a discussion of the film with some historical content woven in than a historical track like the Haberman tracks featured elsewhere in this set. Both men discuss how the film was likely an influence on Night Of The Living Dead and Del Valle is able to add a number of interesting details about Price’s career, like talk of an unfilmed Price/A.I.P. adaptation of an H.G. Wells property and how credited director Sidney Salkow was the brother of Price’s agent(!). Also included for The Last Men On Earth is a six and a half minute interview with Matheson that dates back to a prior MGM DVD of the film. He chronicles the film’s long and tortured path to the screen (it was originally intended to be a Hammer film) and reveals the inspiration behind the pseudonym he uses on the film, “Logan Swanson.” The last of the extras is a 66 image still gallery with the requisite posters, stills and lobby cards. 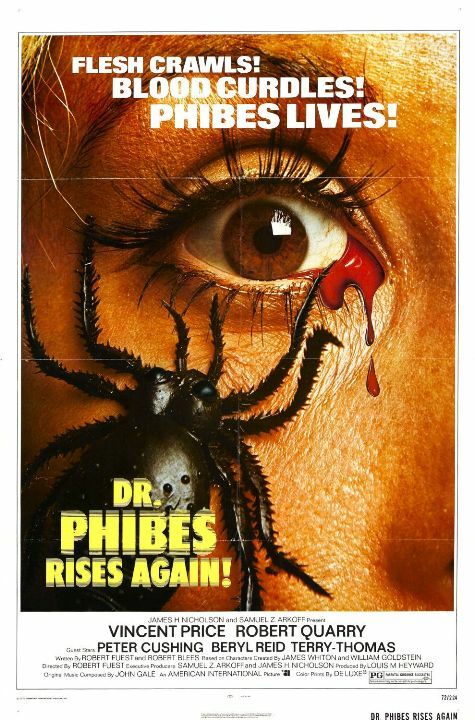 Dr. Phibes Rises Again is the title that is lightest on extras in this set. The two items included here are a fun theatrical trailer that assigns names to the creative killings in the film and a 75 image still gallery that includes lots of great promotional photos as well as stills, lobby cards and posters. Return Of The Fly boasts a commentary track that pairs star Brett Halsey with moderator David Del Valle. The moderator is knowledgeable about studio system-era Hollywood so he’s able to ask interesting questions. Halsey has a good memory and speaks fondly of Price, whom he calls his favorite among all the actors he worked with. Halsey also reveals how the film led to him becoming a contract player at Fox and talks about his work as an actor in Italian films. Del Valle adds some interesting comparison/contrast chat about this film and the original The Fly. Both make a good case for it as an underappreciated b-movie from the studio system era. There is also a pair of trailers for Return Of The Fly, a theatrical spot and one for television. The former is a fun hard-sell in the ’50s tradition with lots of on-screen text while the latter is a double-bill spot that also incorporates an ad for The Alligator People. A brief image gallery rounds the disc out, offers a quick 18 image mix of posters, lobby cards and stills. Disc 4 begins with a fistful of extras for House On Haunted Hill. The first is a commentary track with Haberman once more at the helm. He’s a bit tough on William Castle in his opening comments but gets past this to give a nice history of the film and its participants. Castle, screenwriter Robb White and all the supporting cast get nice mini-bios and there is also a discussion of all the gimmicks Castle used for his famous run of promo-crazed horror films. He adds some interesting critical commentary, like how Castle’s background in noir influenced House On Haunted Hill and the many films that were influenced by the French hit Diabolique (House was just one of many as you will discover). Other House extras include a killer trailer with Price giving the film a charmingly spooky sales-job to the prospective customer and still gallery. The latter has just 23 images but manages to include several impressive variations on the film’s poster art along with some promo photos and lobby cards. And that’s not all: since several films are bookended with Price’s PBS intros from the early ’80s, the producers of this set also throw in “Introductory Price,” an interview with writer Duane Huey about the creation of these wraparounds (click here to read more about this featurette as covered in Schlockmania’s review for the first Vincent Price Collection). Better yet, this set resurrects a trio of Price-themed featurettes that were created for the actor’s MGM Scream Legends DVD box set. “Renaissance Man” is nearly a half-hour featurette about the actor’s life and career drawn from interviews with several horror historians like Kim Newman and Steve Jones. 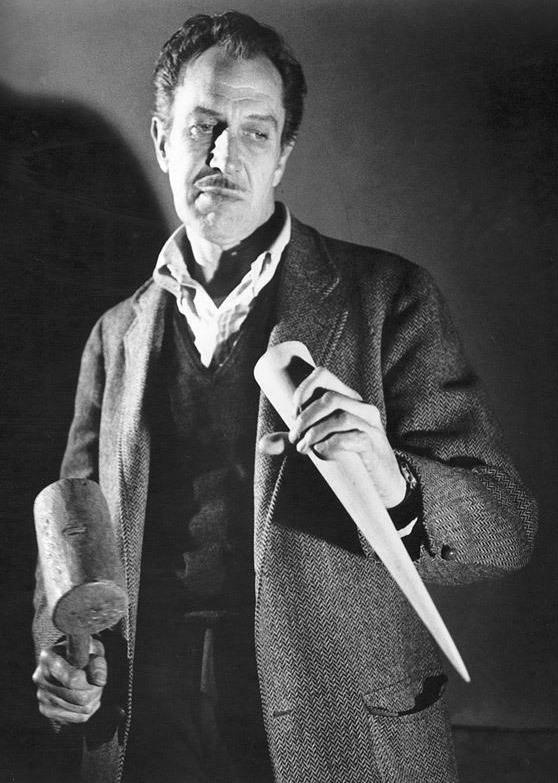 However, the main thread of this piece is provided by Richard Squires, who runs the Vincent Price Exhibit website. He and the others make a case for Price as a multitalented and complex individual who always sought to better himself and live life to the fullest. This segment also does a nice job of describing his distinctive acting style and the knowing humor that infused his work. “The Art Of Fear” is just over 12 minutes and features the likes of Haberman, Tony Timpone, Del Valle and Donald Glut paying tribute to Price’s work in the horror genre. Highlights include Haberman giving an interesting analysis of the Dr. Phibes character and Del Valle offering an inspired defense of Madhouse. “Working With Price” uses several of the same commentators as it talks about Price’s collaborators. You’ll discover that his favorite leading ladies included Ava Gardner and Hazel Court as well as his fondness for Lorre and Peter Cushing. A Price trailer collection brings the disc to a close offer over 20 minutes of trailers for other Price titles that don’t appear on this set: examples include House Of Usher, The Conqueror Worm, Pit And The Pendulum and Masque Of The Red Death. There’s also an interesting text-only preview for House Of Wax and fun spots for The Tingler and The Fly. One final extra is provided in the disc’s slipcase: a 32-page, color insert booklet with an essay penned by Del Valle. It covers these film’s in the context of Price’s career, laying out how and why he became a horror star before exploring each film in detail. He mixes critical commentary with historical knowledge and interviews with Price collaborators like Corman, Shepherd and Robert Quarry. You walk away from this piece with a new appreciation for each film and the role it plays in the Price canon. It’s quality reading and a nice way to top off the set. To sum up, this is a worthy follow-up to the first Vincent Price Collection, presenting its seven films in lovely transfers and kitting them out with an array of supplements that will deepen a fan’s knowledge and love for these films. If you’re a Price fan, you need to snap this up. To read Schlockmania’s film review for The Raven, click here. 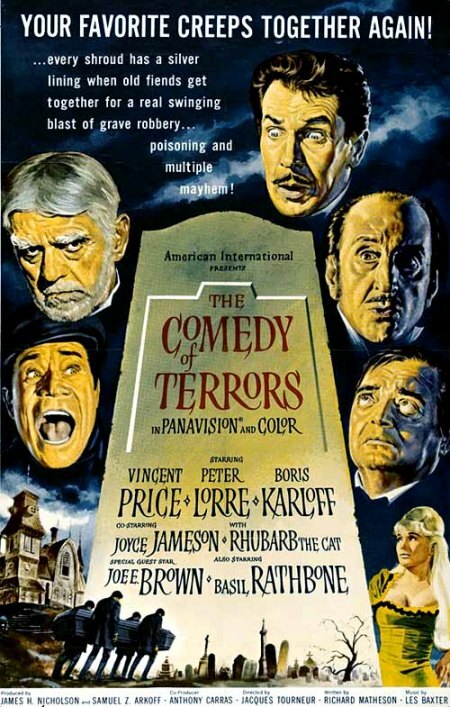 To read Schlockmania’s film review for The Comedy Of Terrors, click here. 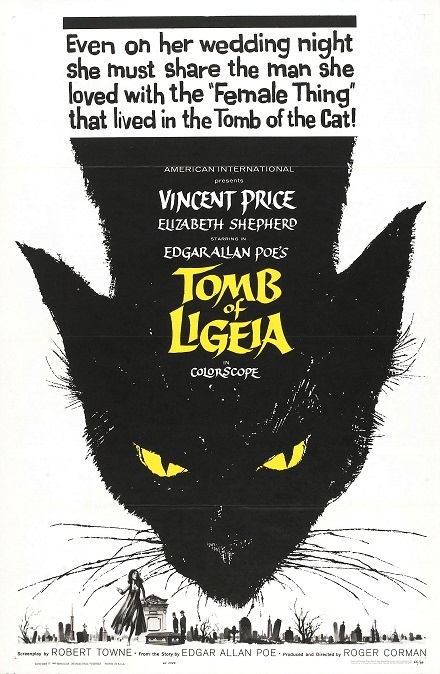 To read Schlockmania’s film review for The Tomb Of Ligeia, click here. To read Schlockmania’s film review for The Last Man On Earth, click here. To read Schlockmania’s film review for Dr. Phibes Rises Again, click here. 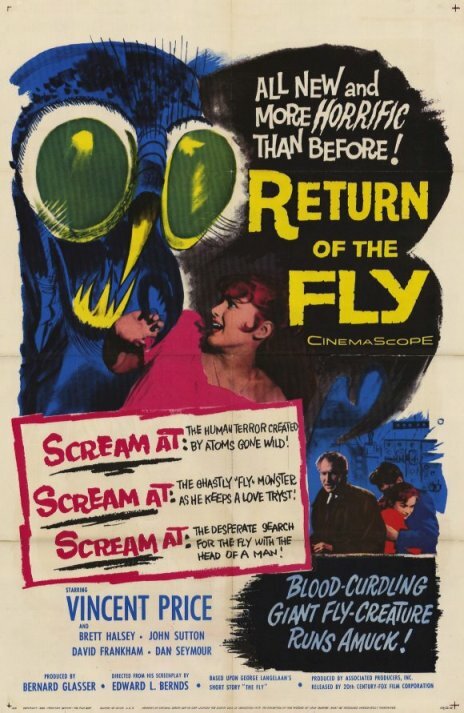 To read Schlockmania’s film review for The Return Of The Fly, click here. 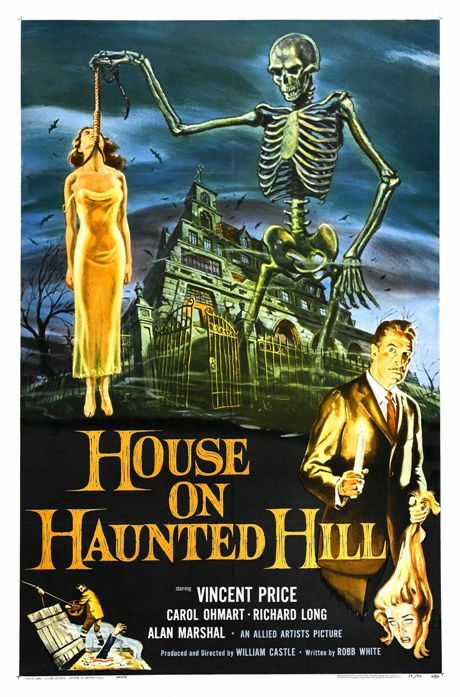 To read Schlockmania’s film review for House On Haunted Hill, click here.